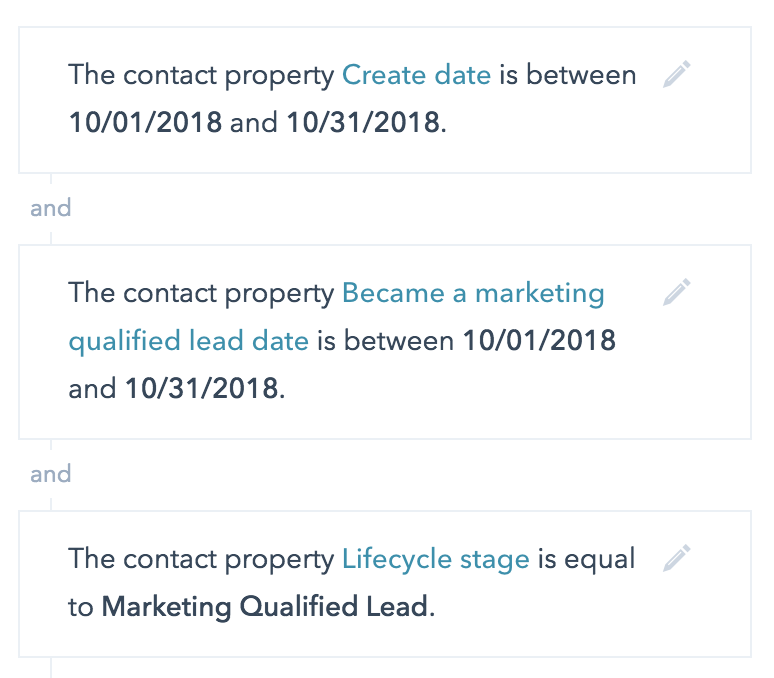 The HubSpot Marketing Metrics “Became a [Lifecycle Stage]” and "New [Lifecycle Stage]" are imperative to accurately report on a contact's movement through your funnel. These include metrics like Became a Lead vs New Leads, Became a MQL vs New MQLs, and Became an Opportunity vs New Opportunities. Often, users are unsure what the differences are between these metrics and which they should use to report on the data that matters to them. This document will outline how the metrics are pulled in to give you a better understanding of which fits your use case. Based on these descriptions, you can expect the count for "Became a MQL" to be higher than "New MQLs."